The Young Property Professionals (YPP) is an initiative of the Australian Property Institute (API) to create and nurture future leaders by providing networking and educational events in most Australian states. Established in the late 1990s, YPP is run by volunteering API members who study or work in the industry. YPP events are attended by property students and young professionals from diverse property backgrounds including development, valuation, agency, finance, property law, construction, consultancy, land economics, asset and funds management, REITs, government and property recruitment. The API is the home for property professionals in Australia, comprising approximately 8,600 members. 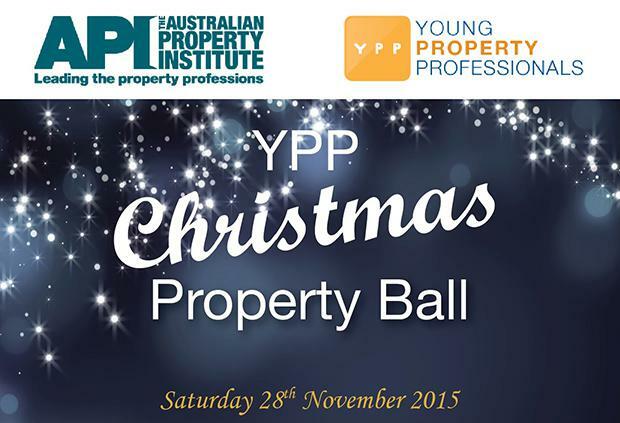 Join the YPP in celebrating another successful year at our social event of the year, the inaugural Christmas Property Ball, to be held on Saturday 28th November 2015 at the VIP Champagne Room in one of Brisbane’s most sophisticated lounge bars, Zuri Bar & Dining in Fortitude Valley. Be treated to a glamorous night with canapés and free-flowing drinks including spirits (for 3 hours from 7pm). This is a great networking opportunity to mingle with the next generation of property leaders. Propell – A JLL Company (propell.com.au). Win the opportunity to work with experienced residential and commercial valuers, be involved in the entire valuation process and experience the rewarding valuation industry first hand. Propell – A JLL Company is a national provider of property valuation, advisory services, and buyers’ advocacy services and partners with major clients in the banking, financial and government sectors as well as private enterprise and individuals. All API Members (including API Student Members) attending the event who fill out the prize form at the registration table can enter for the chance to win this fantastic prize. The winner will be drawn and announced at 8.30pm on the night. The Christmas Property Ball has a cocktail dress code so ladies, come in your finest frocks and gentlemen, a suit. Tickets are limited and cannot be purchased after 5pm this Friday 20th November, so register your partner, colleagues and friends now and let’s have an unforgettable night. qld@api.org.au or 07 3832 3139.